With The Tale of the Princess Kaguya being my favorite film of 2014 (one that continues to stun upon reflection) and the masterful production company Studio Ghibli having created some of the best, most emotionally stirring films of their medium, any news that comes from them is worth celebrating. 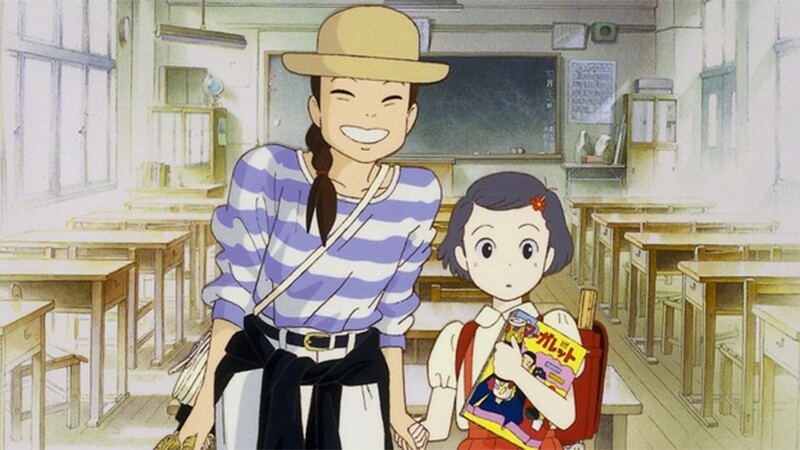 It was announced recently that the “lost masterpiece” Only Yesterday, directed by Isao Takahata (Kaguya, Grave of Fireflies), would finally get distribution in the U.S. after having been released in 1991. Recent Star Wars: The Force Awakens breakout Daisy Ridley will be lending her voice to the leading lady, with Dev Patel getting voice credit as well. The worlds of the minds such as Takahata and Hayao Miyazaki are so wonderfully immersive, full of life to the point where they seem to be pouring out of the frames, any excuse to see another one of their films in theaters is something to latch on to, especially as it becomes less and less clear if there will be any Studio Ghibli films in the future. Watch the trailer below. The movie was released in New York City on January 1st and stars nationwide on February 26th. A 27-year-old office worker travels to the countryside while reminiscing about her childhood in Tôkyô. GKIDS proudly presents ONLY YESTERDAY, from the legendary Studio Ghibli and Academy Award-nominated director Isao Takahata, never before released in North America. This new English language version stars Daisy Ridley and Dev Patel.